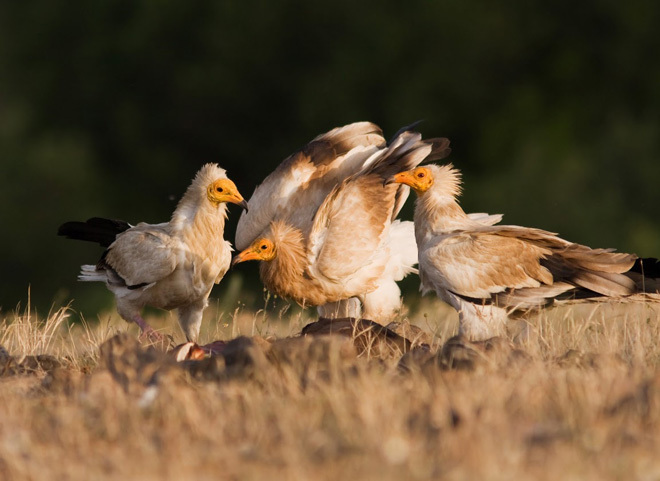 “They look like humans: have bare skin, wrinkles, hairdos… Maybe that’s why many people don’t like them,” says Dr. Stoyan Nikolov from the Bulgarian Society for the Protection of Birds about Egyptian vultures (Neophron percnopterus). Poisoned, electrocuted, shot, these rare and magnificent birds are the fastest disappearing raptors in Europe. The globally endangered species has become extinct in nine European countries in the past half a century. 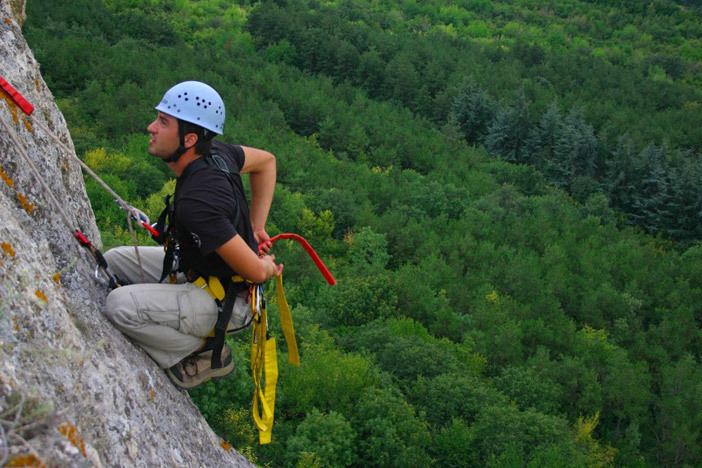 Dr Nikolov, the manager of an EU-funded conservation project along with more than 100 people on his team are working hard to make sure that the Egyptian vulture does not disappear from Bulgaria and Greece. There are only 2,000 bird couples left on the Old Continent, most of them in Spain. Around 80 couples still remain on the Balkan Peninsula but less return each year from their migration in Africa. These relatively small white birds of prey have an interesting life history. 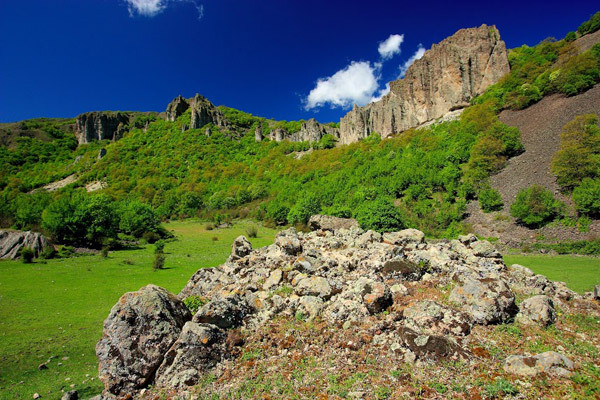 The parents lay eggs in Bulgaria in the spring and chicks emerge a month and a half later. By the end of the summer, the young birds fledge and 20 days later, the entire migrating family arrives in Sudan or Chad (2,500 miles away). They spend the next couple of years in Africa, living close to the local people and eating food scraps from the houses (much like crows in North America). By their sixth year, they reach adulthood, return to Europe and establish a nest and a territory. 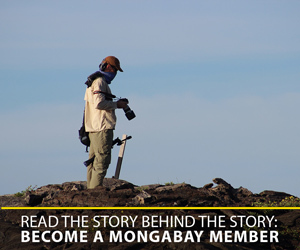 From then on, they migrate every year, spending 6 months in Europe and 6 months in Africa – . In some European countries, Egyptian vultures are traditionally considered the harbingers of spring. 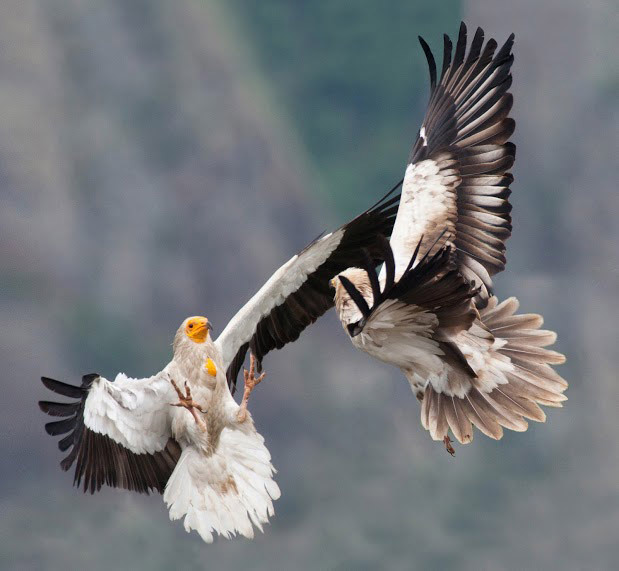 Egyptian vultures form couples for life and can live more than 30 years. Only if one of the partners dies, does the other look for a new partner. They lay 1 or 2 eggs per year and in many places are considered a symbol of parental care. They can fly over the entire Sahara Desert in a single day during their yearly migration between Europe and Africa! 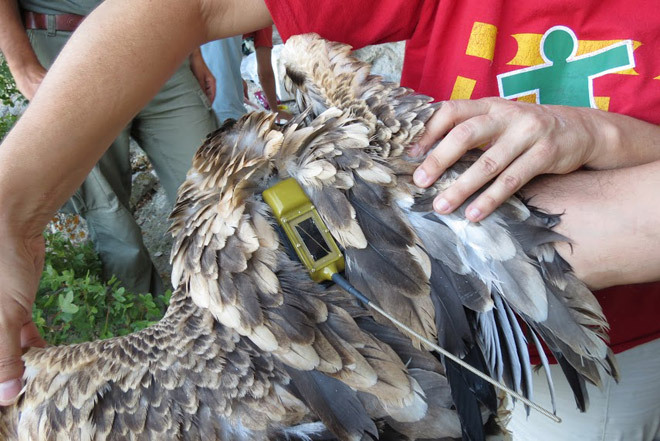 Lazaros, one of the adult birds tagged with a satellite transmitter by the The Return of the Nephron conservation project, was tracked across the 300 miles distance. 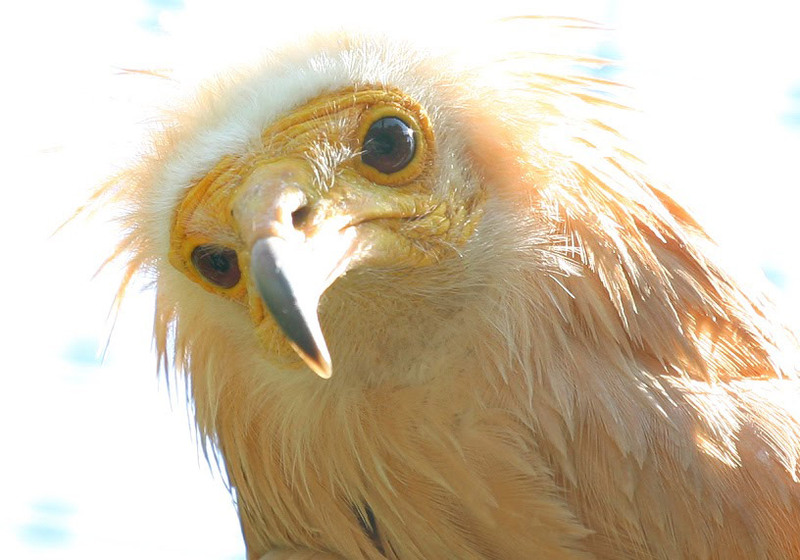 Contrary to popular belief, Egyptian vultures are very clean birds. During flight, the UV light from the sun disinfects their feathers by killing all the bacteria collected from eating dead animals. 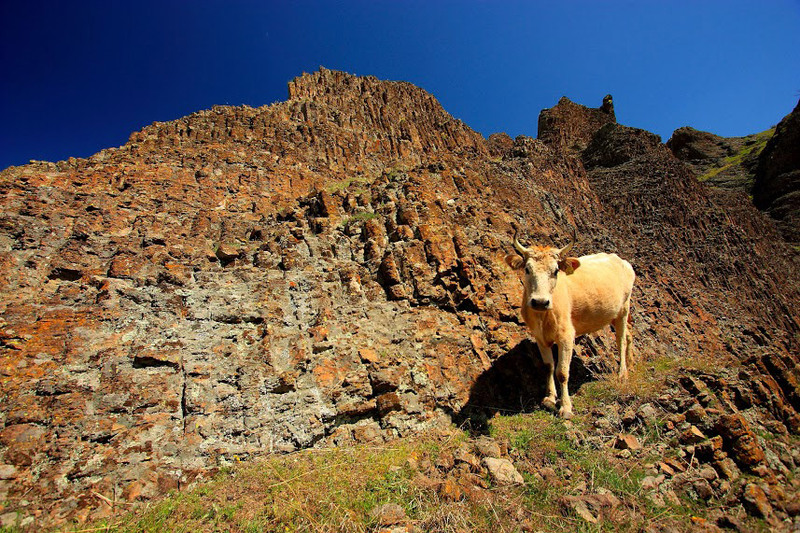 The extremely low pH in their stomachs destroys all the pathogens they may have ingested. In Ancient Egypt, these vultures were considered a symbol of the Pharaoh. The goddess Nekhbet – one of the two patron deities of unified Ancient Egypt – was depicted as an Egyptian White Vulture. The birds nested on top of the pyramids and had a special hieroglyph. According to some Muslim traditions, this vulture is sacred because it saved Mohammed from the attack of the golden eagle in the desert. The story goes that the Prophet blessed the bird with eternal life and white plumage – symbol of wisdom and courage. Lazaros, a bird that flew across the Sahara in a single day, was found dead in Southern Greece last year. Poisoned. Lazaros became an unintentional victim of an attack against other wild animals such as wolves, bears and foxes. Local farmers, beekeepers and hunters in Greece commonly put out poisoned bait and illegal pesticides in an attempt to protect their sheep, bees and game from predators. Unfortunately, whenever a vulture eats the body of a poisoned wolf or fox, the bird falls victim too. Laying out poisons is illegal in all of Europe, but this is not enough to deter people. 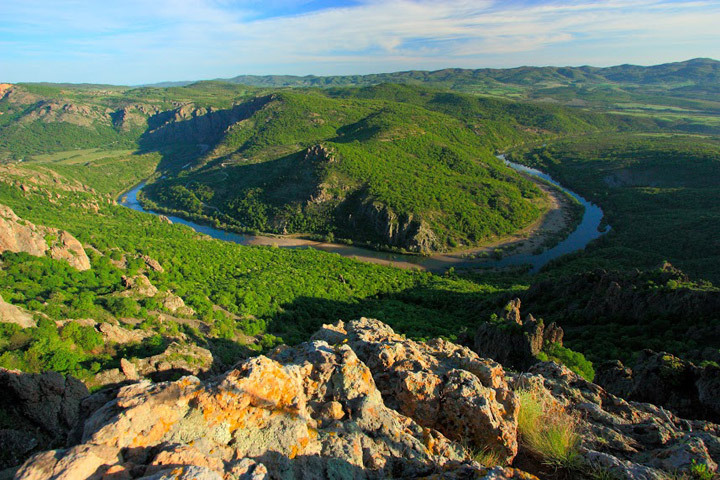 Instead, this conservation project is working with the locals, providing trained guard dogs against the wolves and electric fences against the bears. That way, the farmers have less incentive to put out poisons. Have you heard about the devastating fires in Greece almost every summer? Scientists suspect that electrocuted birds of prey are the fire-starters! 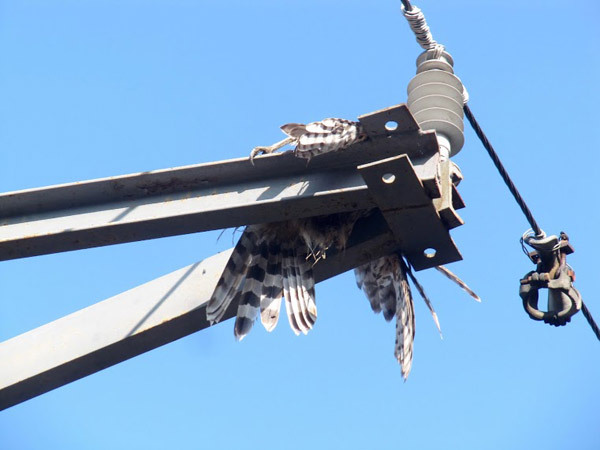 High voltage electricity lines are the second most common killer of the Egyptian vultures. 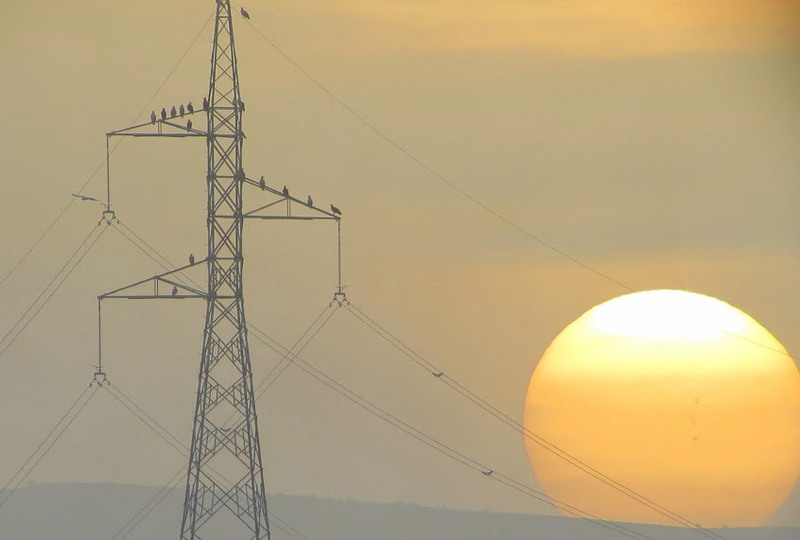 The birds like to perch on high places such as transmission poles and scan the area for food. The problem comes at take off: when they spread their 6-feet wide wings and touch both transmission lines they are set on fire. It turns out that the local electric utility companies are very concerned about the issue too, mainly because an electrocution causes a power outage. The Return of the Neophron has a couple of very successful collaborations with the companies EVN and EnergoPro. They aim to insulate the dangerous lines or reinstall them underground. But there are thousands of poles out there so the work may take longer than the birds have. 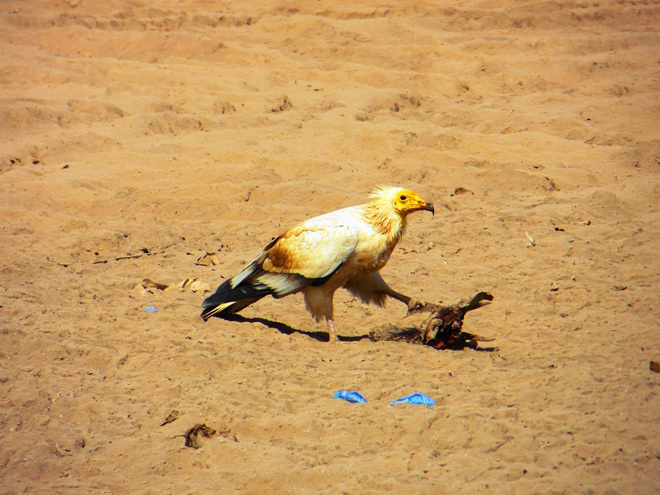 The third biggest menace to Egyptian vultures are… voodoo shamans, organized criminals and concerned citizens in Africa! 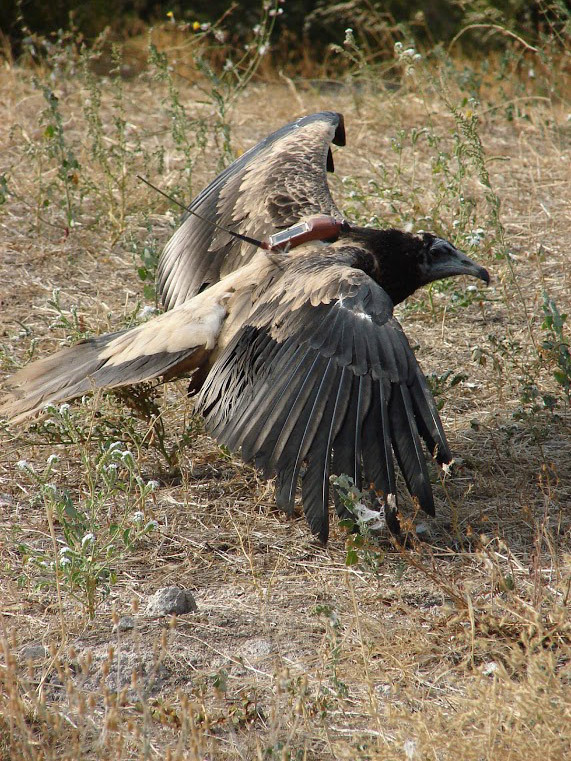 Spartacus, a young vulture with a satellite-tracking device on its back, was killed in Chad a few years ago by locals who thought the device was a foreign espionage tool. 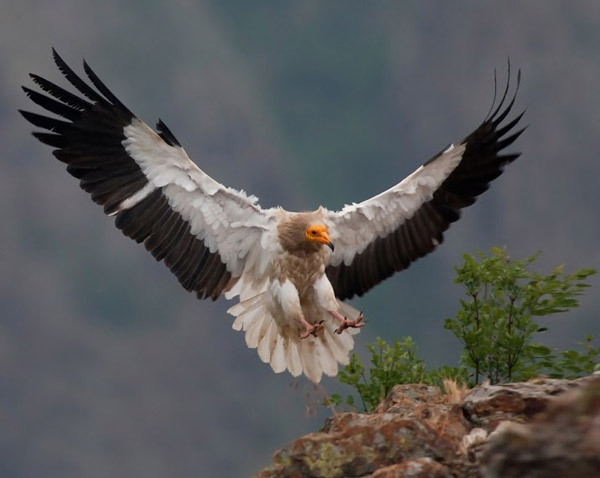 Egyptian vultures are now almost completely extinct in Nigeria due to a voodoo tradition: the shamans eat vulture heads believing that the birds exceptionally good sight will grant them extra power to see far into the future. In addition, entrepreneurial criminals have recently managed to convince lots of villagers in Chad and Nigeria that keeping a mummified vulture head at home will protect them from evil spirits. 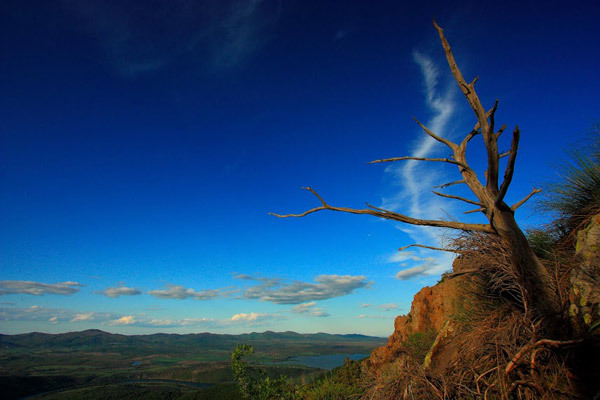 As a result, more and more raptors never return north from their migration. Given that the birds spend half of their adult lives in Sub-Saharan Africa, their survival on the Balkans cannot be guaranteed without collaboration from the African communities. The Return of the Neophron held a capacity-building expedition to the region and is developing a network of local experts in Sudan, Chad, Somalia, Djibouti and Ethiopia. Conservation teams on the Balkans also guard the nests during the breeding seasons and provide extra food to the adults on specially-constructed platforms. 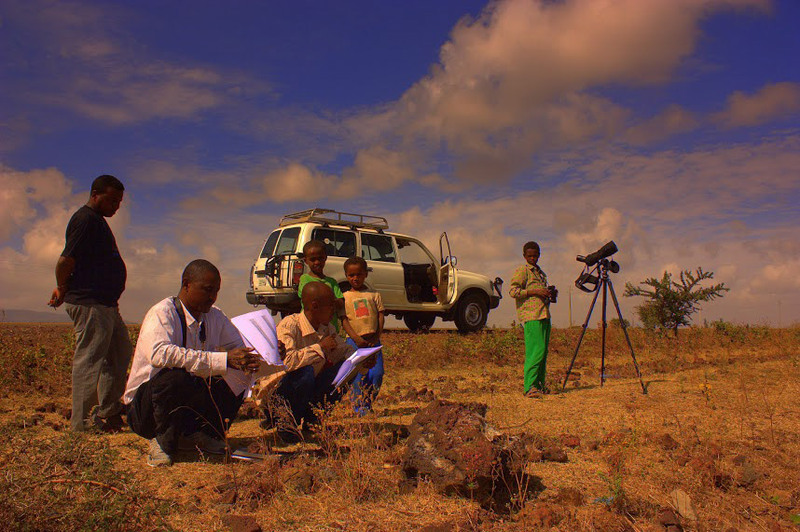 They collect scientific information (genetic and chemical analyses, GPS data etc) and work with the local people to better address the reasons for the birds’ demise. “We feed them, we guard them. But they are not house chickens after all,” says Dr. Nikolov. 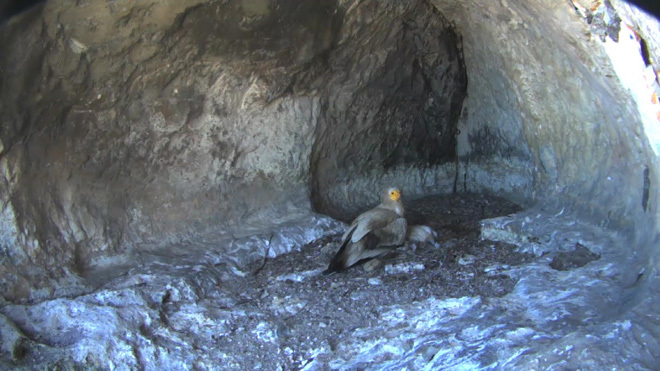 He is hopeful that with all the measures and conservation know-how from other European countries, there is hope for the Egyptian vulture on the Balkans.